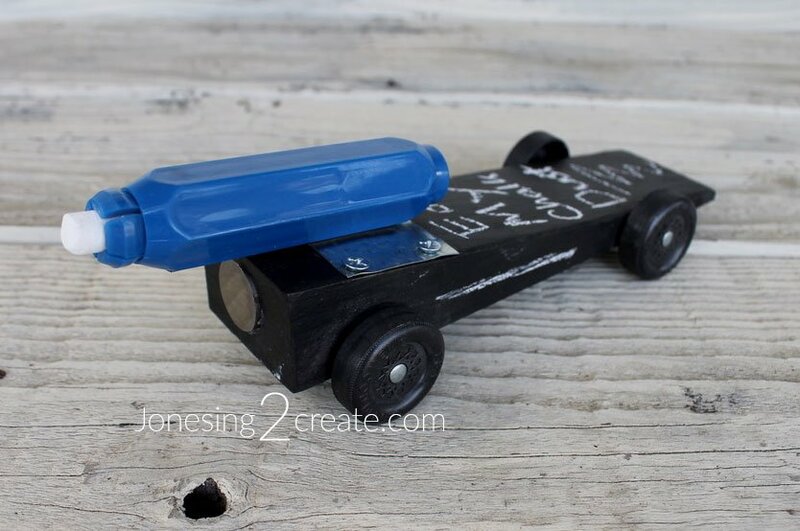 Beside Ladybug’s My Little Pony Pinewood Derby car, my husband thought it would be fun to do a Chalkboard Pinewood Derby car for my boy. 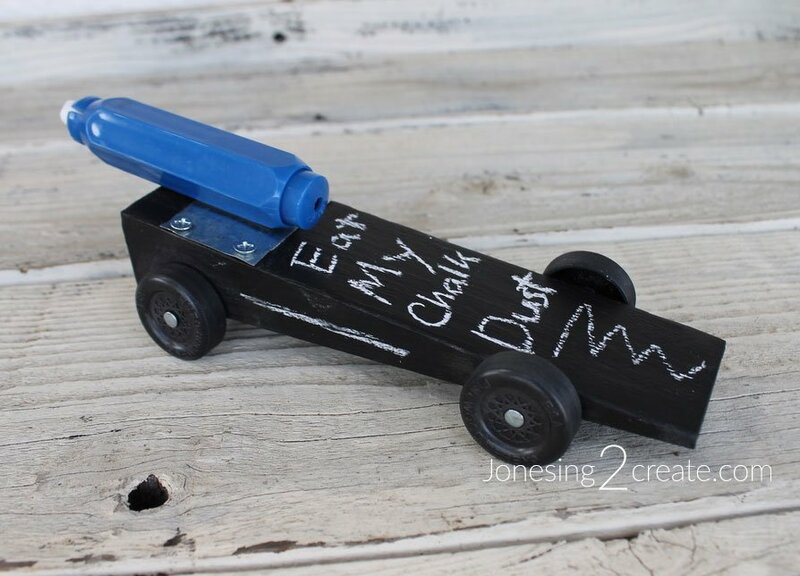 So my boy painted his Pinewood Derby car with chalkboard paint and on the day of the race used chalk to write his own messages on it. We even put a chalk holder out the back that looked like a turbo booster. The design was simple and built for speed since my boy was really worried about coming in last during the races. We removed the chalk holder at weigh-in so that it wouldn’t slow down the car or accidentally fall off during the race. The chalk holder was magnetic and held on using the metal plate on the top. We ended up drilling and putting the weights up in the body of the car, but the metal plate is also a great way to add magnetic weights the day of the race if you need to. 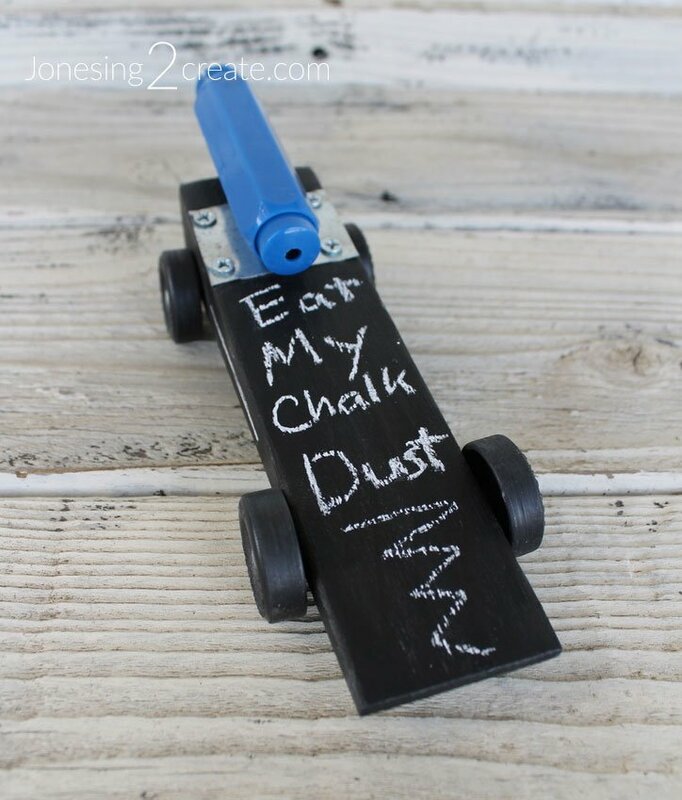 And of course, writing on a Chalkboard Pinewood Derby Car is a lot of fun. I was so tempted to buy some chalk markers and just go crazy on it. The Pinewood Derby has always been a tough one at our house. Lots of anxiety, anticipation, and disappointment. We have always struggled with getting his car to go fast and historically he has often been one of the last ones to finish. I am good at making the cars look cool, but terrible at getting them to go fast. It has been heartbreaking. So this year, I decided to see what I could do to at least put him in the middle of the pack. I called a friend who was a whiz at the Pinewood Derby and she came over to walk me through the process of prepping the wheels. It was pretty intense and I just have to say that those who go through the whole process deserve to win! I did the best I could but was still kind of a novice. In the end, my boy didn’t win, but he did much better than he has in years past. It was funny because he finished second place in every heat, but one, where he placed first. Although he did not steal the show (I now realize how much time it takes to get that fast! ), he never finished last and he was solidly in the middle and got to race several times before being dropped from the race. Overall it was a race he could feel good about. In years past, I have been so focused on helping my own son feel better that I haven’t noticed much else. But this year, my boy was older, busy helping with the race, and better equipped to handle the disappointment. I had time to look around a little more and noticed several of the younger boys crying or struggling with the same disappointment. 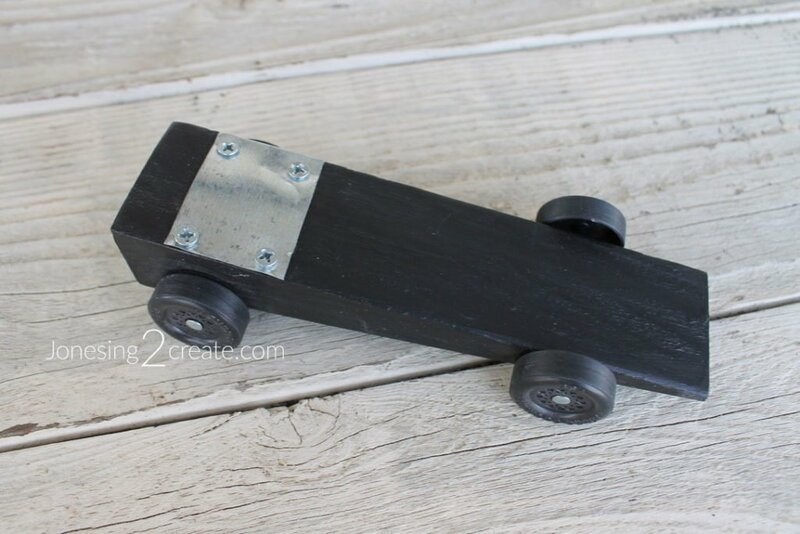 It is the hard side of the Pinewood Derby and the side we desperately want to save our kids from. There are so few winners and the boys put so much into it. But watching my son mature through the Cub Scout program, I can’t help but be glad he got the chance to lose a little. 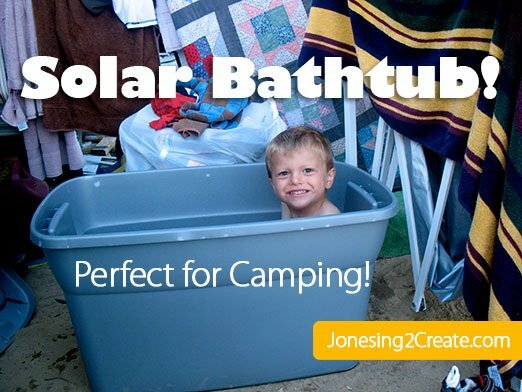 It has helped him learn how to handle stress and disappointment, and he is learning how to take joy in the process instead of just the acclaim. So while I wish I could have saved him from the heartache, it probably wouldn’t have been the best thing for him. We all lose in life, and we lose a lot. Learning how to accept and move on from there is invaluable, and I think as parents we are the best ones to help navigate our children through that process.